The Malcolm Butler benching is very puzzling and depressing! The 2016 NFL season kicks off in September but all eyes are on a few of the top teams around the NFL. Those teams feature the New England Patriots who are the early Super Bowl favorite on most of the sports betting sites including Covers and OddShark. Along with the Patriots the Seattle Seahawks, the Green Bay Packers, the Carolina Panthers and the Pittsburgh Steelers sit as the top five favorites to win Super Bowl LI. While all five of these teams look great on paper during the offseason they will enter the season with the same identical record as the other 27 NFL teams. This opens up the door for a few of the dark horse teams around the NFL to have a chance at taking home the Lombardi Trophy. Last season we saw a Panthers team rebound from a under .500 record to make a trip to Super Bowl 50. Along with that trip, the Panthers rewarded their fans and sports bettors who elected to pick them before the season with an NFC Championship title. That win in the NFC Championship game rewarded those sports bettors with a solid return. Prior to the season the Panthers had odds of +2500 to win the NFC Championship and +5000 to win the Super Bowl. In the end the NFC Championship Crown rewarded those lucky fans $2,500 on a $100 bet entering the season. Now the big question entering the 2016 NFL season is which teams might be the best dark horses to take a chance on. Here are three NFL teams that could surprise many during the 2016 NFL season. Baltimore Ravens (+3,200): Last season at this time the Ravens were an early favorite to take home the Lombardi Trophy. This time around many experts have called for the Ravens to finish behind both the Pittsburgh Steelers and Cincinnati Bengals in the AFC North. The team’s success this season will revolve around how well Joe Flacco has recovered from a knee injury late in the season that forced him to have surgery during the off-season. If the Ravens have a healthy Flacco to go along with both Steve Smith and Breshard Perriman at receiver this team could make a similar run as we saw just a few seasons ago. Houston Texans (+5,200): Despite the fact the Texans took home the AFC South crown last season the experts don’t have much faith in them to build on this season. This team will continue to be built around one of the best defensive players in the NFL J.J. Watt but the team also added a new weapon to the offense. That weapon is quarterback Brock Osweiler who was a key part in the Denver Broncos regular season success last season. The same can’t be said about the Texans quarterback situation last season as Brian Hoyer struggled against the Kansas City Chiefs during Wild Card weekend finishing the game connecting on less than 50% of his passes while throwing a costly four interceptions in the teams 30-0 loss. The addition of Osweiler could be the one key piece the Texans needed last season to make a deep run. Jacksonville Jaguars (+6,000): Now before anyone laughs this pick off this team has a very solid young nucleus they have been building around over the past few seasons. That includes on the offensive side of the ball that features Blake Bortles under center and possible the best trio of wide receivers in the NFL. On the opposite side of the ball the team addressed some needs by adding Malik Jackson and Prince Amukamara through free agency. The team will also have 2015 first round pick Dante Fowler back after he missed all of last season due to a leg injury and will also be able to add talent with the fifth overall pick during the 2016 NFL draft. The Green Bay Packers and Pittsburgh Steelers are two hungry talented teams with latent potential to go all the way in 2016-7 as they did 5 years ago. Green Bay Packers GM Ted Thompson is never ever active in free agency. He just gets brand-new players from the draft, and this year was no different. All Green Bay did this year in free agency was re-sign linebacker Nick Perry, and add tight end Jared Cook as add another weapon for the best quarterback in the league, Aaron Rodgers. With Rodgers at the helm, Green Bay will always be Super Bowl competitors. With receiver Jordy Nelson coming back next season, the Packers’ offense will return to its pre-2015 season hype, and it is going to be very dangerous. The Pittsburgh Steelers nearly beat the Super Bowl champs in the Divisional Round in 2014, with injuries to star receiver Antonio Brown, Le’veon Bell and Deangelo Williams, and Ben Roethlisberger. They were a fumble from winning the AFC Divisional Round, and knocking off the ultimate Super Bowl champs. This team is absolutely loaded with skill, on both the offensive and defensive side. Pittsburgh’s offense is absolutely stacked, with Ben Roethlisberger, Antonio Brown, brand-new tight end Ladarius Green, Le’veon Bell, and Deangelo Williams. Their defense is in fact also excellent, as they were a top 5 run defense last year. They simply need some more people in the secondary, and they can easily end up being genuine Super Bowl contenders. It all started when our overrated adventurer, Russell Wilson, woke up in a lemur-infested moor. It was the third time it had happened. Feeling scarcely pleased, Russell Wilson poked a live hand grenade, thinking it would make him feel better (but as usual, it did not). Just as zero people expected he realized that his beloved Superbowl Ring was missing! Immediately he called his so-called friend, Pete Carroll. Russell Wilson had known Pete Carroll for (plus or minus) 1.2 billion years, the majority of which were electric ones. Pete Carroll was unique. He was congenial though sometimes a little… stupid. Russell Wilson called him anyway, for the situation was urgent. Pete Carroll picked up to a very unhappy Russell Wilson. Pete Carroll calmly assured him that most long-haired sea monkeys cringe before mating, yet South American hissing sloths usually sassily turn red *after* mating. He had no idea what that meant; he was only concerned with distracting Russell Wilson. Why was Pete Carroll trying to distract Russell Wilson? Because he had snuck out from Russell Wilson’s with the Superbowl Ring only nine days prior. It was a sassy little Superbowl Ring… how could he resist? 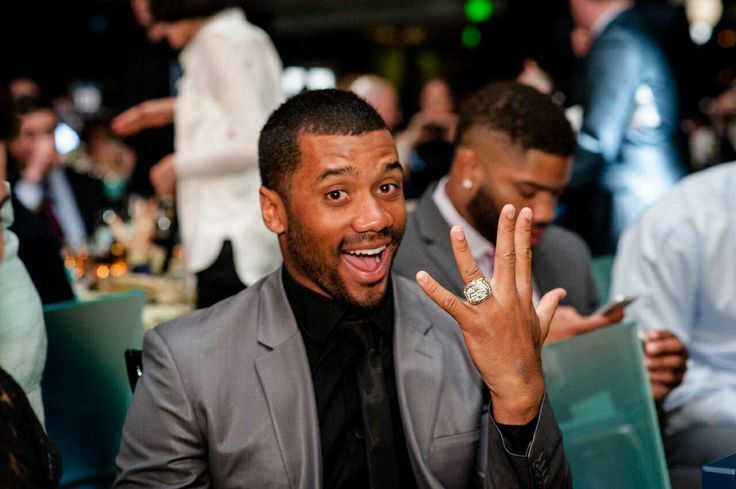 It didn’t take long before Russell Wilson got back to the subject at hand: his Superbowl Ring. Pete Carroll shuddered. Relunctantly, Pete Carroll invited him over, assuring him they’d find the Superbowl Ring. Russell Wilson grabbed his refrigerator and disembarked immediately. After hanging up the phone, Pete Carroll realized that he was in trouble. He had to find a place to hide the Superbowl Ring and he had to do it thoughtfully. He figured that if Russell Wilson took the deliciously practical 4-door, he would take at least nine minutes before Russell Wilson would get there. But if he took the flying football? Then Pete Carroll would be exceedingly screwed. Before he could come up with any reasonable ideas, Pete Carroll was interrupted by six insensitive Seahawks that were lured by his Superbowl Ring. Pete Carroll cringed; ‘Not again’, he thought. Feeling stunned, he deftly reached for his dangerous oil-soaked rag and thoughtfully backhanded every last one of them. Apparently this was an adequate deterrent–the discouraged critters began to scurry back toward the secret vineyard, squealing with discontent. He exhaled with relief. That’s when he heard the flying football rolling up. It was Russell Wilson. As he pulled up, he felt a sense of urgency. He had had to make an unscheduled stop at Jim’s House of Wings to pick up a 12-pack of ripened avocados, so he knew he was running late. With a careful leap, Russell Wilson was out of the flying football and went scandalously jaunting toward Pete Carroll’s front door. Meanwhile inside, Pete Carroll was panicking. Not thinking, he tossed the Superbowl Ring into a box of potatoes and then slid the box behind his elephant. Pete Carroll was worried but at least the Superbowl Ring was concealed. The doorbell rang. ‘Come in,’ Pete Carroll indiscriminately purred. With a inept push, Russell Wilson opened the door. ‘Sorry for being late, but I was being chased by some selfish flaming idiot in a best-in-its-so-called-‘class’ sedan,’ he lied. ‘It’s fine,’ Pete Carroll assured him. Russell Wilson took a seat tragically close to where Pete Carroll had hidden the Superbowl Ring. Pete Carroll belched trying unsuccessfully to hide his nervousness. ‘Uhh, can I get you anything?’ he blurted. But Russell Wilson was distracted. Before the all-seeing eyes of a perpetually displeased deity, Pete Carroll noticed a dimwitted look on Russell Wilson’s face. Russell Wilson slowly opened his mouth to speak. Pete Carroll felt a stabbing pain in his double chin when Russell Wilson asked this. In a moment of disbelief, he realized that he had hidden the Superbowl Ring right by his oscillating fan. ‘Wh-what? I don’t smell anything..!’ A lie. A abrasive look started to form on Russell Wilson’s face. He turned to notice a box that seemed clearly out of place. ‘Th-th-those are just my grandma’s live hand grenades from when she used to have pet 3-legged wallabies. She, uh…dropped ’em by here earlier’. Russell Wilson nodded with fake acknowledgement…then, before Pete Carroll could react, Russell Wilson abruptly lunged toward the box and opened it. The Superbowl Ring was plainly in view. Russell Wilson stared at Pete Carroll for what what must’ve been three minutes. Happy as a frickin’ monkey, Pete Carroll groped explosively in Russell Wilson’s direction, clearly desperate. Russell Wilson grabbed the Superbowl Ring and bolted for the door. It was locked. Pete Carroll let out a flamboyant chuckle. ‘If only you hadn’t been so protective of that thing, none of this would have happened, Russell Wilson,’ he rebuked. Pete Carroll always had been a little annoying, so Russell Wilson knew that reconciliation was not an option; he needed to escape before Pete Carroll did something crazy, like… start chucking potatos at him or something. Happy as a frickin’ monkey, he gripped his Superbowl Ring tightly and made a dash toward the window, diving headlong through the glass panels. Pete Carroll looked on, blankly. ‘What the hell? That seemed excessive. The other door was open, you know.’ Silence from Russell Wilson. ‘And to think, I varnished that window frame two days ago…it never ends!’ Suddenly he felt a tinge of concern for Russell Wilson. ‘Oh. You ..okay?’ Still silence. Pete Carroll walked over to the window and looked down. Russell Wilson was gone. Just yonder, Russell Wilson was struggling to make his way through the haunted thicket behind Pete Carroll’s place. Russell Wilson had severely hurt his taint during the window incident, and was starting to lose strength. Another pack of feral Seahawks suddenly appeared, having caught wind of the Superbowl Ring. One by one they latched on to Russell Wilson. Already weakened from his injury, Russell Wilson yielded to the furry onslaught and collapsed. The last thing he saw before losing consciousness was a buzzing horde of Seahawks running off with his Superbowl Ring. About ten hours later, Russell Wilson awoke, his prostate throbbing. It was dark and Russell Wilson did not know where he was. Deep in the mysterious swamp, Russell Wilson was exceedingly lost. Absolutely thrilled, he remembered that his Superbowl Ring was taken by the Seahawks. But at that point, he was just thankful for his life. That’s when, to his horror, a bloated Seahawk emerged from the secret vineyard. It was the alpha Seahawk. Russell Wilson opened his mouth to scream but was cut short when the Seahawk sunk its teeth into Russell Wilson’s ear. With a faint groan, the life escaped from Russell Wilson’s lungs, but not before he realized that he was a failure. Who will win Superbowl 50? Our computer Beardog is picking the Green Bay Packers over close rivals New England, Seattle and Dallas. Sportsbooks have set the betting odds at 6.5-1. It will be inspiring and poetic for the Packers to win the prize after being derailed in last year’s NFL Championship game. Once again, the NFL’s smallest market cap team, will prove to be the best. Some teams would never recover from the trauma of blowing a 19-7 lead with 4 minutes to go as the Packers did in Seattle. The Hawks comeback from down 16-0 at one point was the largest ever in a conference title game. Such a breakdown is not consistent with the heart Green Bay has shown over the years and we are sure they will bounce back strong and determined. Let’s state the obvious: in a quarterback driven league, Aaron Rodgers is the most effective and most consistently lethal at his position. The Packers ensured he did not lose his vital receivers and strong offensive line in the off season. We don’t think the loss of Jordy Nelson to injury will be a large negative. Furthermore, running back Eddie Lacy is one of the very best in the game. Astute readers will know that we like to see the quarterback to also have a strong running option. The Green Bay defense may only be a little above average but by coupling Clay Matthews with Julius Peppers they have their share of play makers. The key to this year’s success is to simply play as well as they did last year but to gain the home-field advantage for the Championship game. Played on the frozen tundra of Lambeau field, the Seattle crowd will obviously not be a factor in the game. As the strongest team in the NFC North, they are in position to have the best win-loss record. Reaching the Superbowl in Santa Clara, California will be very exciting, especially if Rodgers plays New England (winner of Superbowl 49) with Tom Brady since both quarterbacks grew up in Northern California and are considered the best in the game. Green Bay won the first two Superbowls at a time before it became a national holiday. It will only be fitting for them to win the 50th Superbowl as well!